The DC Universe just got a bit more crowded. 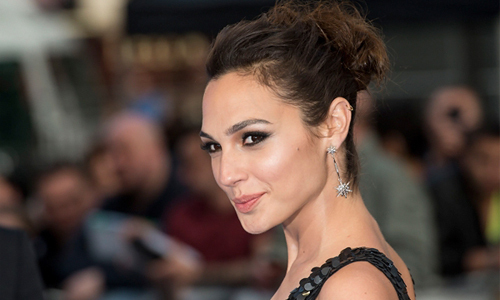 Gal Gadot has been cast as Wonder Woman in Zack Snyder’s Batman vs. Superman. She’ll be joining both Henry Cavill and Ben Affleck on the big screen, making the sequel to Man of Steel an epic introduction to both a new caped crusader and the most infamous female heroine in the comic book world. Gadot is an Israeli actress and model, and won the Miss Israel title in 2004. She’s perhaps best known for her role in the Fast & Furious movies, so has experience in big budget action films, which should bode well for her upcoming role as the warrior princess of the Amazons. I’m torn on this recent announcement. For one, I think it is great that Wonder Woman is finally making it onto the big screen. She’s a strong female lead and with the recent success of The Hunger Games films, it’s clear that a female lead can not only carry a film, but also a franchise. Also, introducing Wonder Woman among other heroes is a good idea. You don’t need an extensive origin story and you don’t need to rely on her to carry the entire film (she can do that in her own future film). However, I think Warner Bros. should’ve held off until a Justice League movie before introducing her. Batman vs. Superman says it all: this film is about these two iconic heroes facing off. Plus, we are getting a fresh new Batman, so the majority of our focus is going to be on Affleck and how he portrays the Dark Knight. We also want to see the dynamic between his Batman and Cavill’s Superman and how they not only interact, but fight alongside one another. How does Wonder Woman fit into all this? Having Wonder Woman in the fold may disrupt the dynamic and if the studio ruins her first introduction on screen it could affect how we view her in other films. She deserves to be in a movie for sure, but I just feel this isn’t the right way to do it. Batman vs. Superman opens in 2015.